OUR F8 VENUES WEBSITE IS CURRENTLY OFFLINE – BUT YOU CAN STILL MAKE A BOOKING FOR OUR VENUE BY CALLING US (01382 224846) OR EMAILING US (ENQUIRIES@F8C.CO.UK). OUR NEW WEBSITE WILL BE RESTORED SOON. WATCH THIS SPACE…. Looking for a meeting room in Dundee to hold training, workforce development event, or business seminar? Then please contact F8 Venues – we have an excellent training suite with fantastic facilities and will ensure your business meeting runs smoothly and efficiently. F8 Venues is situated in a central location in the heart of Dundee City Centre, a vibrant and modern city based at the mouth of the River Tay, only 90 minutes from Glasgow and 60 minutes from Aberdeen and Edinburgh. Easily accessible by bus, train, car or plane, why not make F8 Venues your first choice or training suite for your business needs. 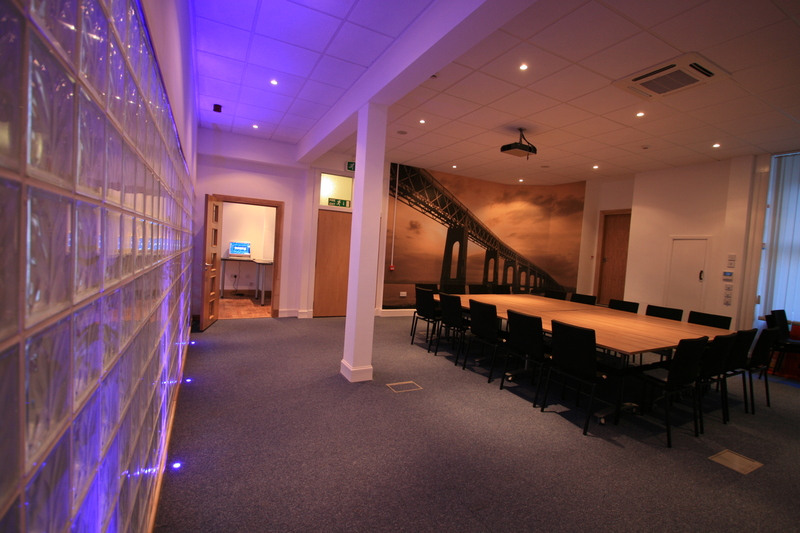 At F8 Venues in Dundee, we can accommodate up to 25 people, the training suite has the following attributes which makes it a desirable room for that all important business meeting. • Quality catering – providing good, simple food. Here at Figure 8 we aim to provide the best quality service and at a reasonable price.